Local chef Paul Zammit’s love for WA produce knows no bounds. A veteran of the Perth culinary scene, Paul has pretty much done it all – from running famed seafood restaurant Mosmans, to authoring several cookbooks championing our amazing produce (including Buy West Eat Best). 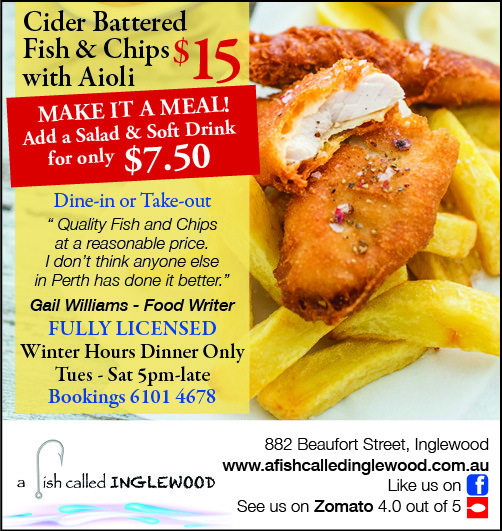 Noticing a gap in the seafood restaurants around Perth, Paul and wife Jaycinta decided to embark on a new venture. About to celebrate its first birthday, A Fish Called Inglewood has diners hooked in the nicest way. There’s a lot to love about this place, from the super fresh seafood to the friendly, informal atmosphere, not to mention the fact that everything is made in house, from scratch. “After running Mosmans, we saw that no-one really offered a quality product between the high-end and a basic fish and chip shop. So we created our own niche. Diners want that authentic, home made taste and great value for money. 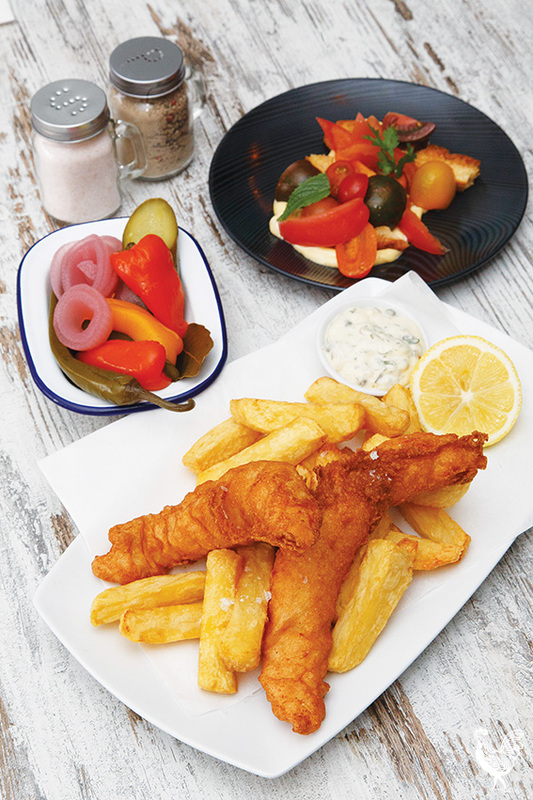 We make everything ourselves, from the cider in our gluten-free batter to our sauces & icecreams. We serve only the finest Australian & NZ seafood, expertly cooked. The menu changes daily, we rely on the freshest seasonal produce available, we buy smart and pass on the savings to our customers,” Paul explained. The menu is a mouthwatering selection of classic fare done really well (Cider battered fish & chips, aioli & lemon), along with items to please the most fervent of foodies such as Red Emperor, with pumpkin puree, haloumi, burghal and green tomatoes; or Barramundi Asian salad, with green mango, peanuts and crisp shallots. As you would expect, A Fish Called Inglewood is family-friendly. There’s a lovely al fresco dining area, perfect for the summer months ahead. Fully licensed. Take away orders can be taken from 4.30pm for pick up at 5pm.